Developer Crytek has detailed the Season Pass for Ryse: Son of Rome, which will grant owners access to four add-on content packs for the Xbox One title’s multiplayer component. The Season Pass will be available to purchase at launch of the game for $19.99, which in itself offers a 25 percent discount from purchasing each pack separately. As mentioned above, the bundle will feature four DLC packs that in total will bring 14 multiplayer maps, six skins for fighters, access to a new tier of weapons and armor, new level events and an additional multiplayer mode. Purchasing the Season Pass will also net owners exclusive digital goodies in the form of in-game items, including a unique sword and shield that will be of use only in the multiplayer. These will give players bonus abilities, which currently have not been detailed by Crytek. Ryse: Son of Rome will launch exclusively for the Xbox One alongside the console on November 22. 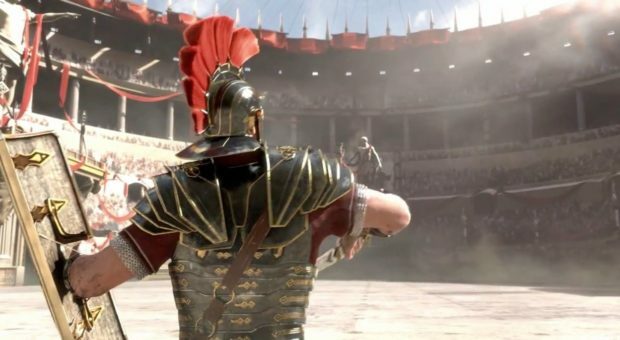 Mike Ybarra “Remembers” Ryse: Son of Rome, Could This Be A Teaser? A Ryse 2: The Empire Image is Circulating the Web, Sequel or a Hoax?